Cosmopolitan, multicultural, funky and a little bit hipster, it’s probably fair to say that when it comes to restaurants and bars Melbourne is leading the way in this country. The first city to (finally!) catch on to the merits of small bars and boasting hundreds of interesting restaurants minus the pretensions that can be found in some other big cities it’s simply a great place to be for those that like a good meal and maybe a little something to drink. Fortunately Sake hasn’t been left behind, finding its way onto more than a few wine lists and bar menus as a number of venues take up the charge to bring nihonshu to the wider audience it deserves. Among these one gent in a particular has done a bit more than others. Andre Bishop has earned himself a bit of a name as the go-to guy when it comes to sake. Andre had an interest in all things Japan from an early age in particular the anime and manga driven pop-culture of Japan. In later years this interest grew into something bigger thanks to a backpacking tour of Japan and he decided that Japan was the place for him. However things don’t always go as planned and family life saw Andre remain in Australia. With the idea that if he couldn’t go to Japan he’d bring Japan here, Andre set about starting his own Japanese sub-culture in the city of Melbourne. Education Council, Andre runs a mini sake empire of three Japanese themed venues around Melbourne. 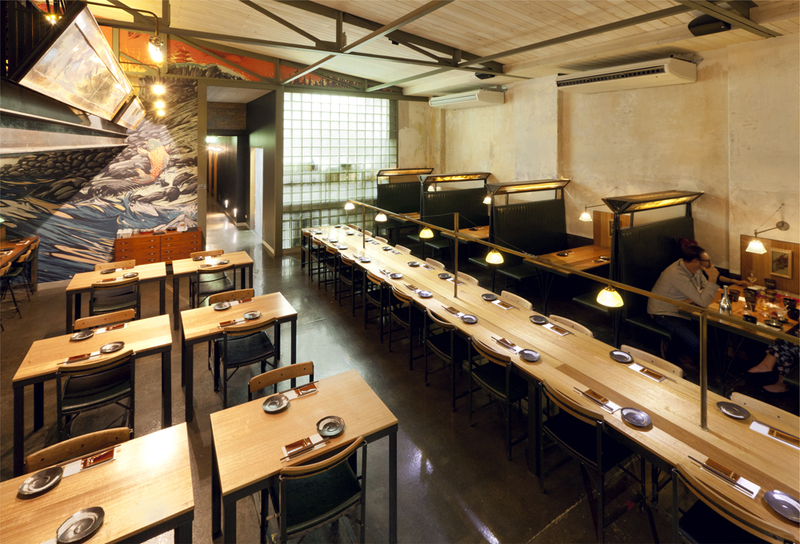 Serving as the flagship is Kumo Izakaya a chic take on the rustic izakaya you normally find in Japan, Kumo offers a mix of traditional Japanese food with a few Australian-centric twists and also boasts probably Australia’s largest sake menu. Izakaya Chuji is more of a nod to the rustic style with a casual atmosphere and a more home style cooking kind of menu with a formidable sushi counter. Chuji is actually one of the older Japanese restaurants in Melbourne, Andre took over the licence a number of years ago. Next door you’ll find Nihonshu Bar, a funky drinking hole dedicated to sake, shochu and some tastefully selected Japanese whisky and Awamori. 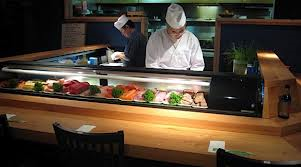 Regular sake events, tastings and dinners are held at Kumo so if you’re a Melbournite keep an eye out. Having a drink and a chat with Andre one of the things that shines through is his genuine love for sake. It would be fair to say there are a couple of bandwagon jumpers out there that have latched onto sake as “the next big thing” and see it as a selling point or commodity but Andre is the real deal. He makes regular visits to Japan to check out breweries and keep up with what’s going on, often sourcing some nifty little tidbits while he’s at it. Andre can be often found at any of his establishments happy to chat and ready with any recommendations, so if you’re thinking about taking the step into the sake world and having a peek, pop in and I’m sure Andre will be happy to show you around. Posted on January 5, 2013, in sake and tagged Andre Bishop, Izakaya Chuji, Kumo Izakaya, Nihonshu Bar, sake in Melbourne. Bookmark the permalink. Leave a comment.